APC has been delivering the gold standard of custom prints since 2005. What is the gold standard you ask? and print pros with one mission: to bring your photos and artwork to life. in custom printing — and a partner that understands your needs — you’ve come to the right place. At Artistic Photo Canvas, we’re 100% dedicated to state-of-the-art canvas and metal printing. Doing it well requires a complex combination of technology, materials and experience that few labs possess. But, as you’ll discover, we’ve mastered these steps and more to make APC a key partner in your creative process, and to ensure that we far exceed your expectations. It all comes down to our commitment to excellence and a focused passion for what we do. You’ll see and feel the the difference it makes when you receive your first canvas or metal print from APC. No automation = Better prints. 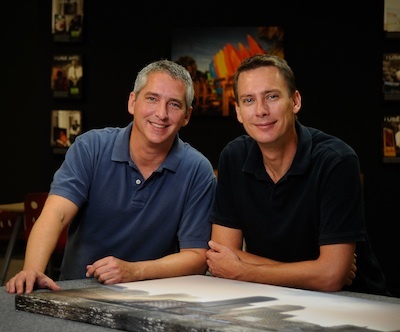 Professional image editors and canvas printing experts oversee your project from start to finish. APC’s real people beat artificial intelligence every time! We didn’t jump on the bandwagon. We drove it. Since 2005, APC has made choices that are right for your images — and right for the environment. Team APC is as enthusiastic about your photo canvas prints as you are. We’re here to lend a friendly helping hand whenever you need it. When you choose APC, your custom printed photos and artwork are prepared, printed and assembled by artists and craftsmen in the United States — not China. Tighter stretch. Cleaner lines and corners. APC’s borderline-OCD attention to small details — and meticulous hand-stretching — mean a tighter fit, less bulky corners, and a cleaner finish for your photos on canvas. Great Prices. And more for your money. For less than other labs charge for thin, “art decor” canvases that fade and wear out, you can buy superior quality gicleé prints that will last more than a lifetime. We're 100% dedicated to canvas and metal printing. It's the rocket science of printing and we've got the tools, know-how and amore for a perfect match. If you're not absolutely, positively thrilled with the quality of your new APC custom print — just let us know and we'll make it right. Choose the very same lab that successful professional photographers and artists choose to make their work shine.